James, D Geraint 2005. 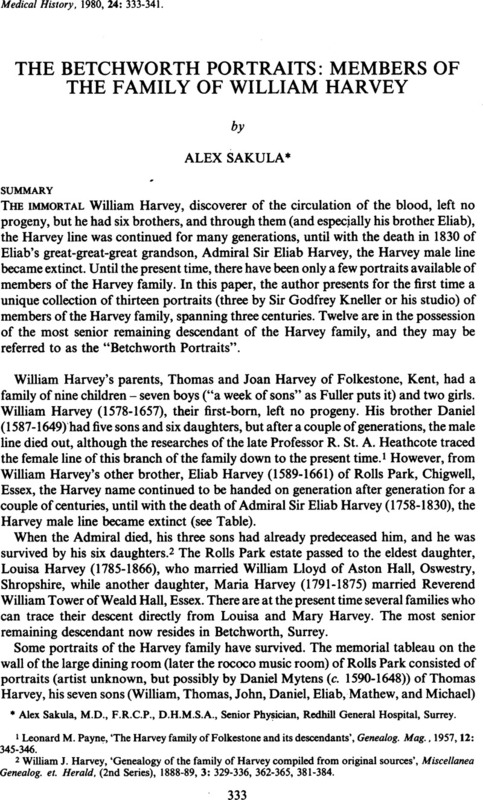 The Portraiture of William Harvey (1578–1657) Unveiled by the Detective Work of Geoffrey Keynes (1887–1983) and Alex Sakula (1917–2003). Journal of Medical Biography, Vol. 13, Issue. 2, p. 113. * Alex Sakula, M.D., F.R.C.P., D.H.M.S.A., Senior Physician, Redhill General Hospital, Surrey.